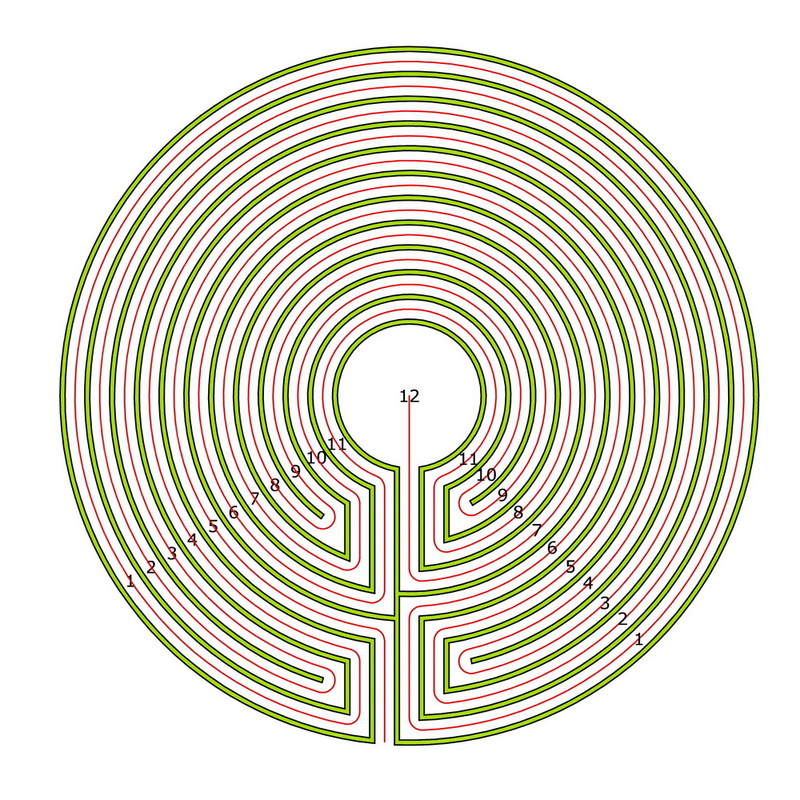 In chapter 3 of his book, Herman Wind (see below: Literature 1) aims at introducing a new categorization of labyrinths. 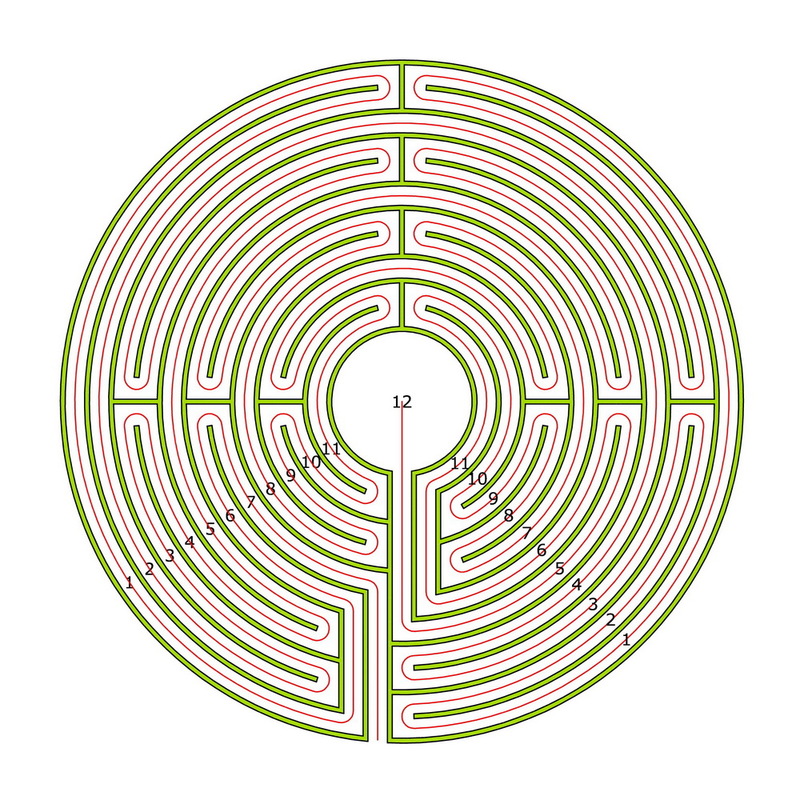 For this purpose he has used images of labyrinths primarily from Kern (Literature 2) and also from some other sources. Wind has abstracted the sequences of circuits from the ground plans of the individual labyrinths. In the labyrinth library, table 3.2.1 A-F on pages 73-78 of his book, entries of 235 labyrinths can be found. 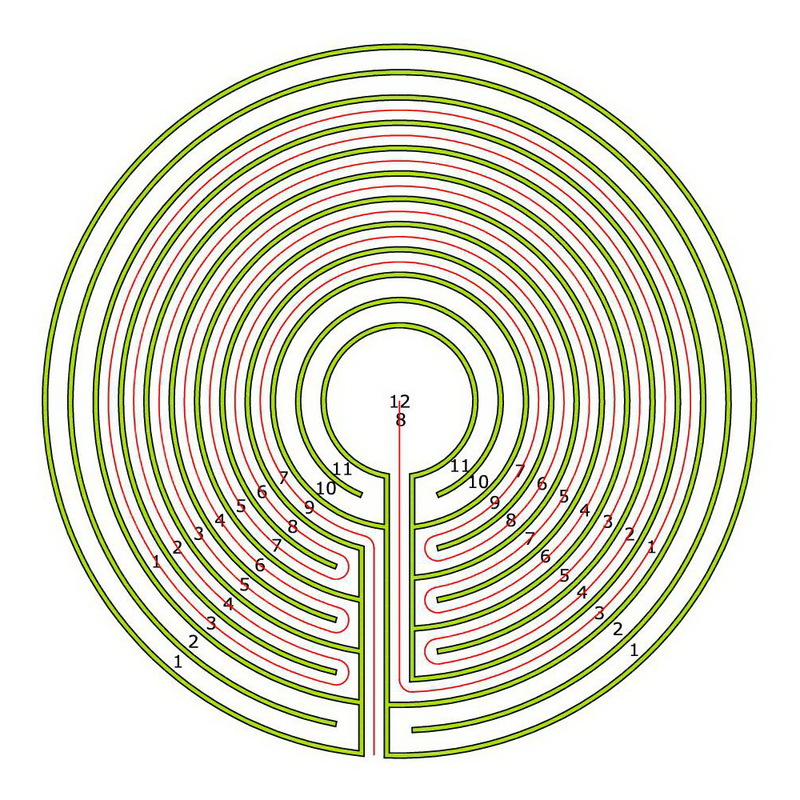 Each line represents one labyrinth with a reference to figure, location, date when recorded and sequence of circuits. 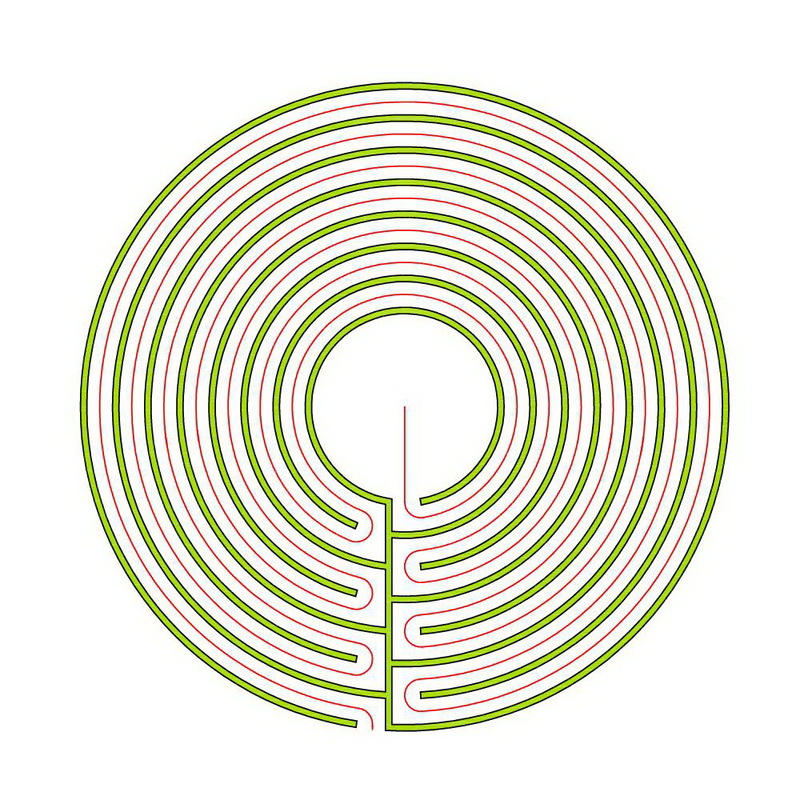 Labyrinths with the same sequences of circuits were arranged subsequently. By this, Wind has attributed similar labyrinths to the same groups, divergent labyrinths to different groups and thus created a typology. However, he does not term his groups „types“ but „families“ instead. 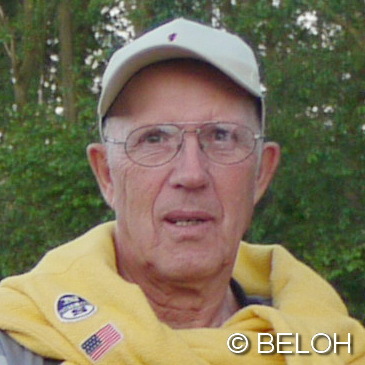 These families have not been given different names and are also not always clearly distinguished one from another. 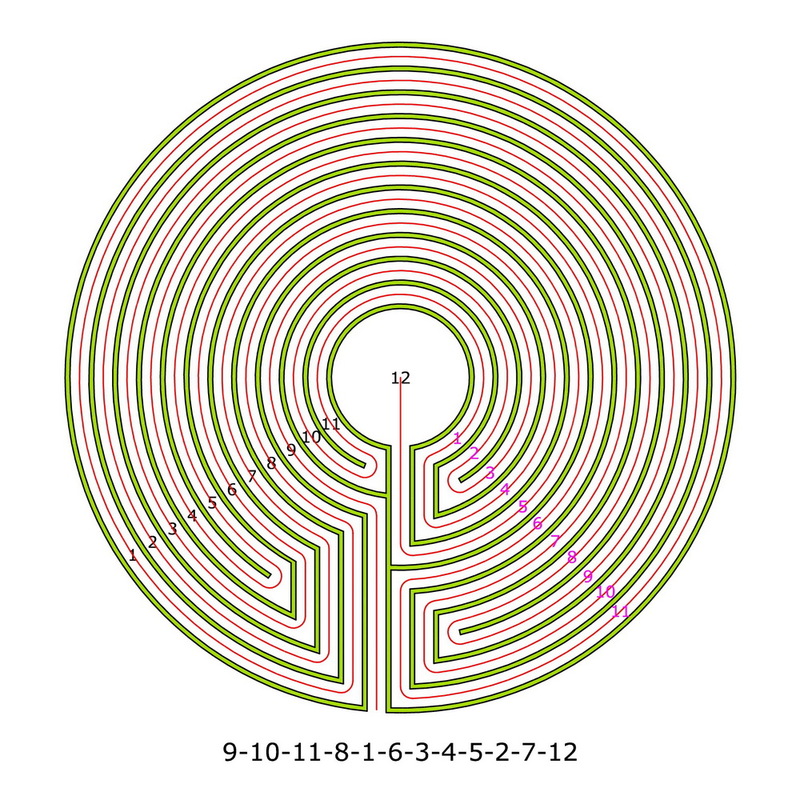 Therefore in the labyrinth library, the reader himself must draw parentheses around the lines with the same sequences of numbers in order to identify the families. In the book, five examples of the use of the labyrinth library are presented. Let us have a look at the first example (p. 81). 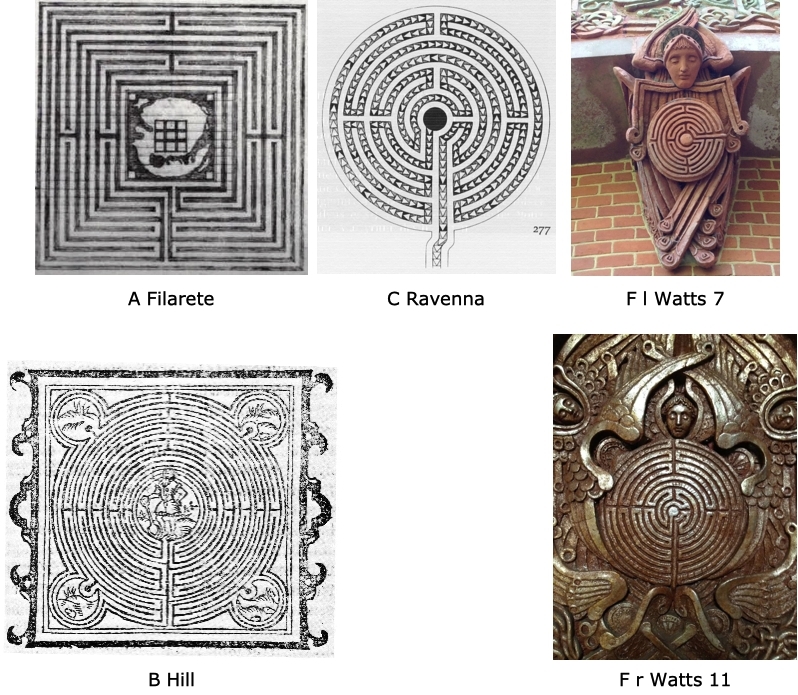 This shows examples of labyrinths that were attributed to the same family as the labyrinth of Ravenna. Examples A „Filarete“, C „Ravenna“, and F l(eft) „Watts 7 circuits“ all have the same sequence of circuits. Example B „Hill“ was equally attributed to this family, even though it is completely different. It can be seen at first sight, that this labyrinth does not belong to this family. 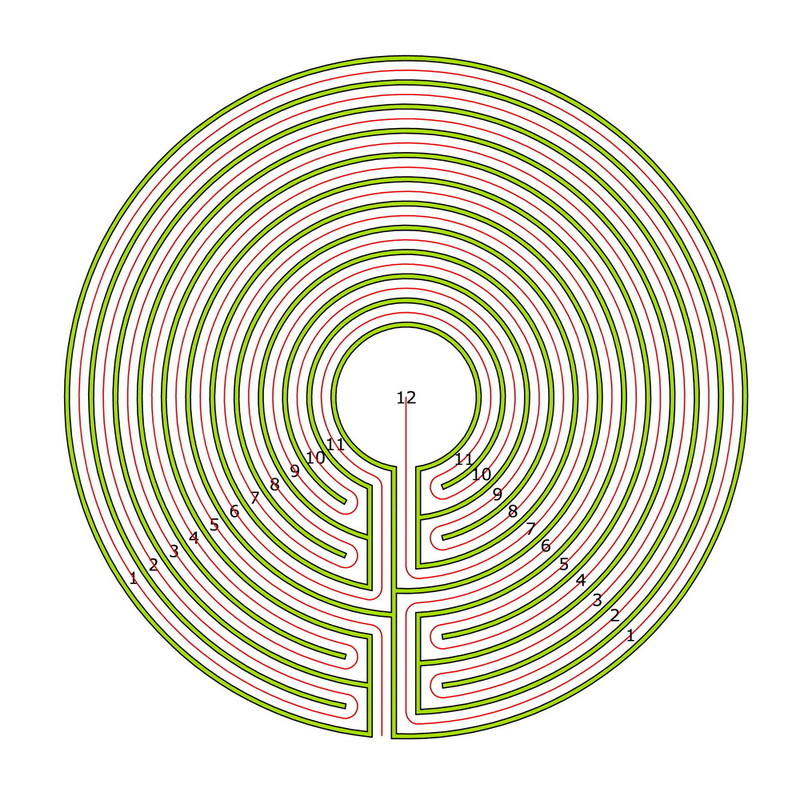 This is a faulty drawing of a labyrinth of the Saffron Walden type. It seems, there has been some mistake in the attribution of the labyrinth in the labyrinth library. Interestingly, neither the author nor the editor have noticed this. Although they have noticed the difference in the much more resembling example F r(ight) „Watts 11 circuits“, but only stated a certain similarity with the family of Ravenna. This is just what can be seen in a direct comparison of both images F l and F r.
First: This sequence of circuits is unique only in alternating one-arm labyrinths. 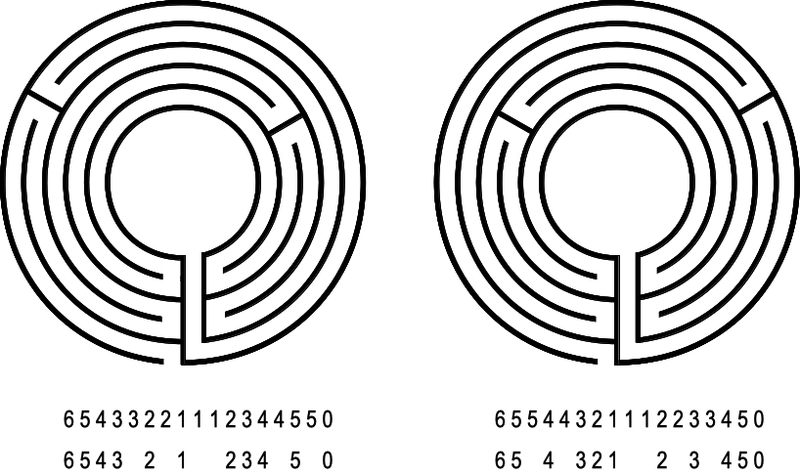 If we consider also non-alternating labyrinths, examples with different courses of the pathway may have the same sequence of circuits (fig. 2). So, Wind attributes the two non-alternating labyrinths (a) St. Gallen and (b) Syrian Grammar to the same family. This is correct. Should he find an alternating labyrinth of the shape (c), however, he would have to attribute this to the same family, although it has a clearly different course of the pathway. This because it’s sequence of circuits is 7 4 5 6 1 2 3 0, just the same as in examples (a) and (b). (For other examples with ambiguous sequences of circuits see related posts 1, 2). 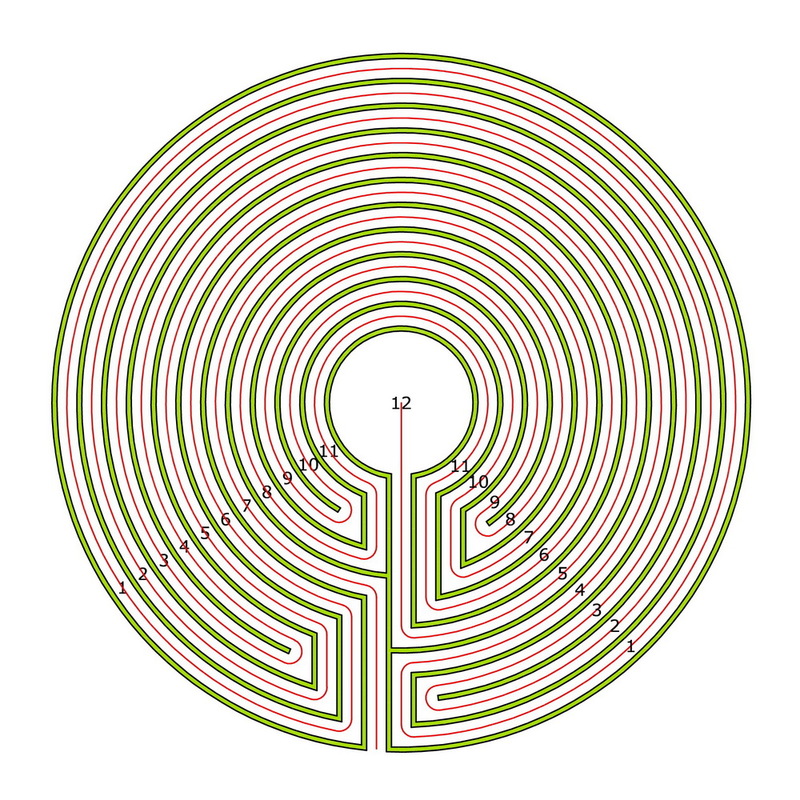 Second: Wind’s sequences of circuits for the labyrinths with multiple arms are incomplete. They only indicate which circuits are covered at all but provide no information on how long the respective pieces of the pathway are. 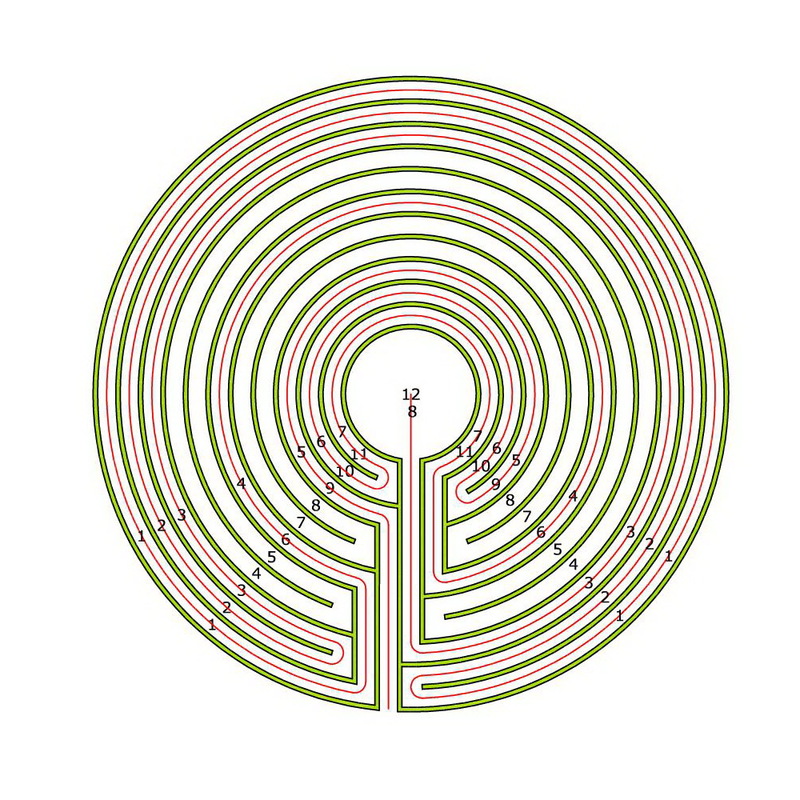 Such sequences of circuits are not even unique in alternating labyrinths. 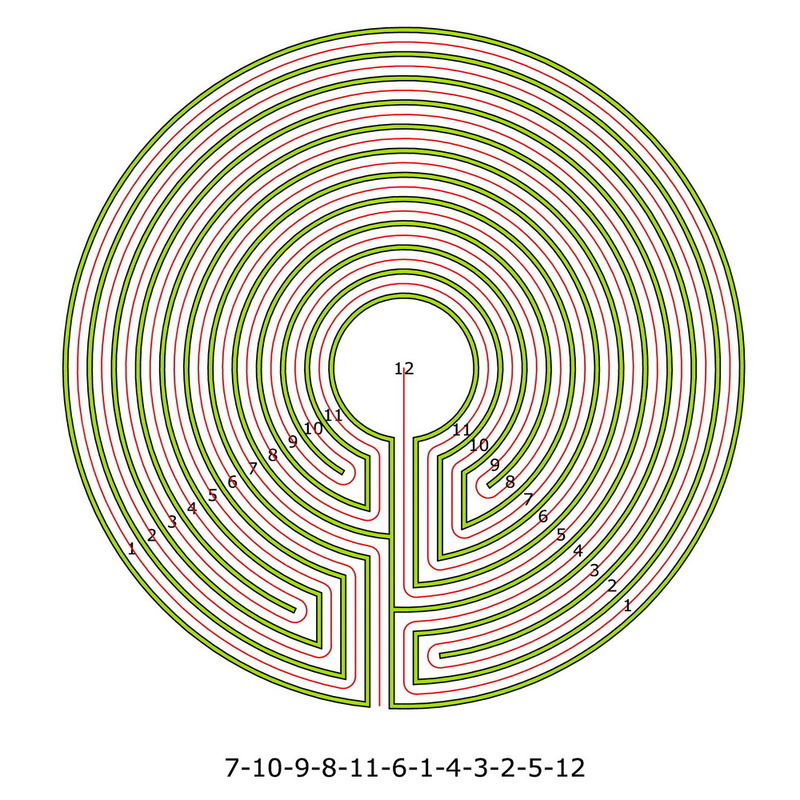 As Jacques Hébert explains, the sequence of circuits in labyrinths with multiple arms must take into account the division into segments and the resulting variation in length of path segments (Literature 3). This can be done in different ways. 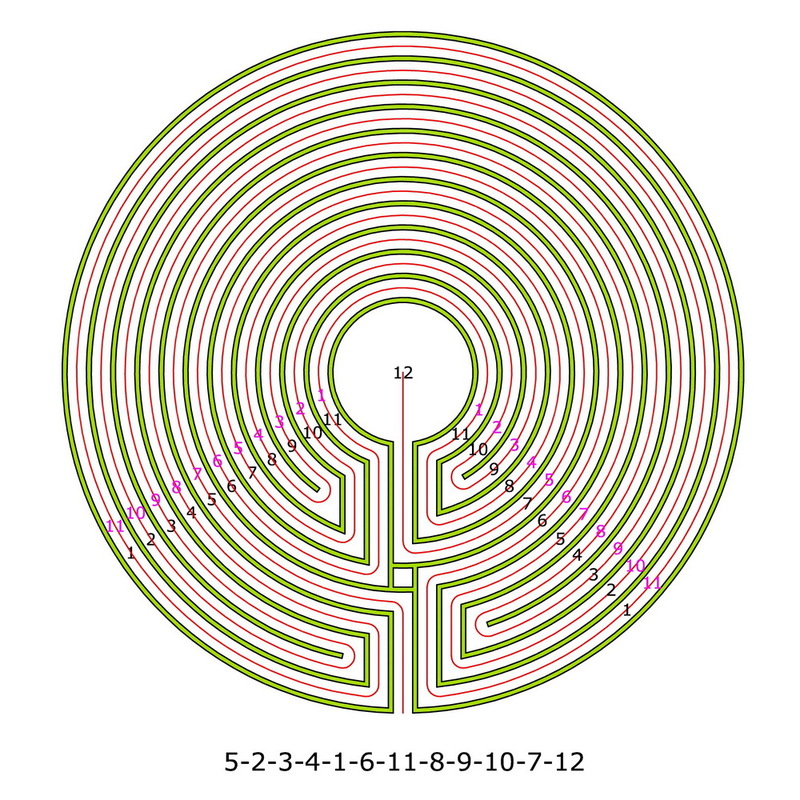 Figure 3 shows one of the possibilities using a pure sequence of numbers with the example of the Wayland’s House 1 labyrinth. 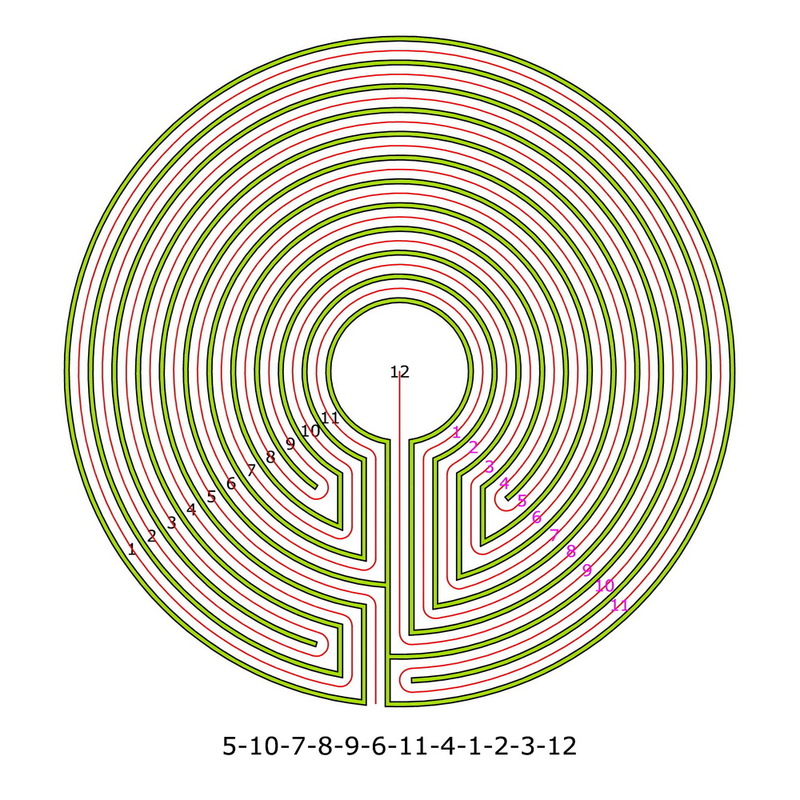 The sequence of circuits of this labyrinth according to Wind (lower row W:) has 21 numbers. If we consider also the length of the path segments following Hébert (upper row H:) the sequence has 30 numbers. 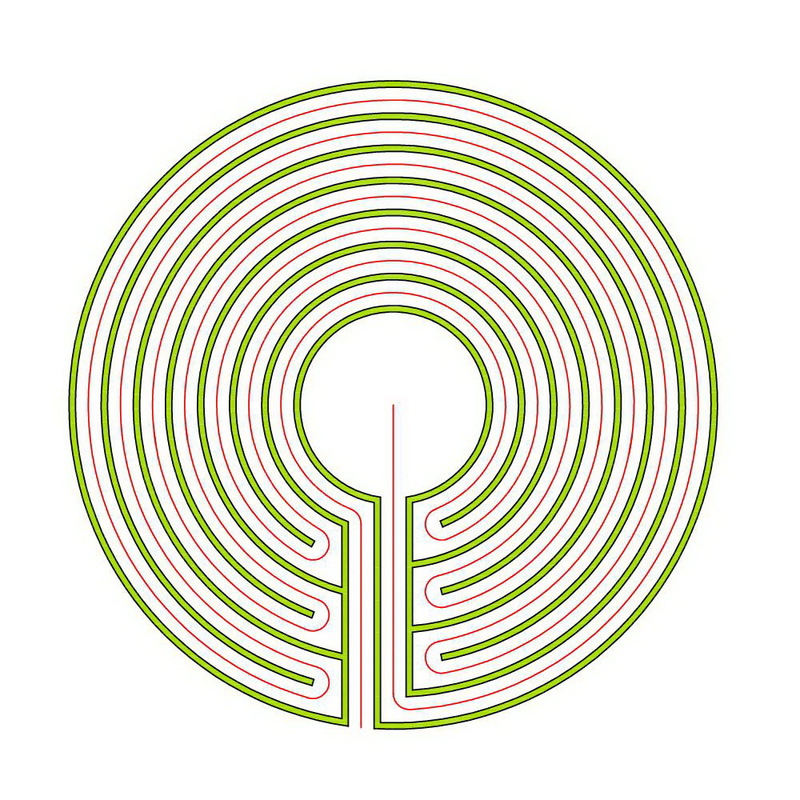 From Wind’s sequence of circuits the labyrinth cannot be restored without an image of it or only after multiple attempts. From Hébert’s sequence of circuits it can be restored without difficulty. 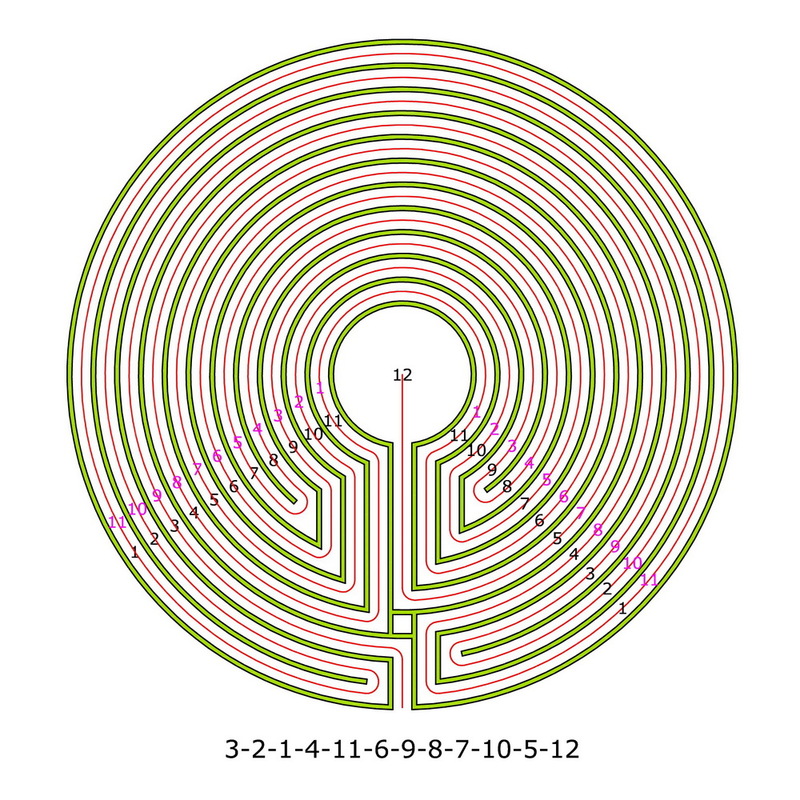 That there may exist alternating labyrinths with different courses of the pathway for the same incomplete sequence of circuits is shown in fig. 4. 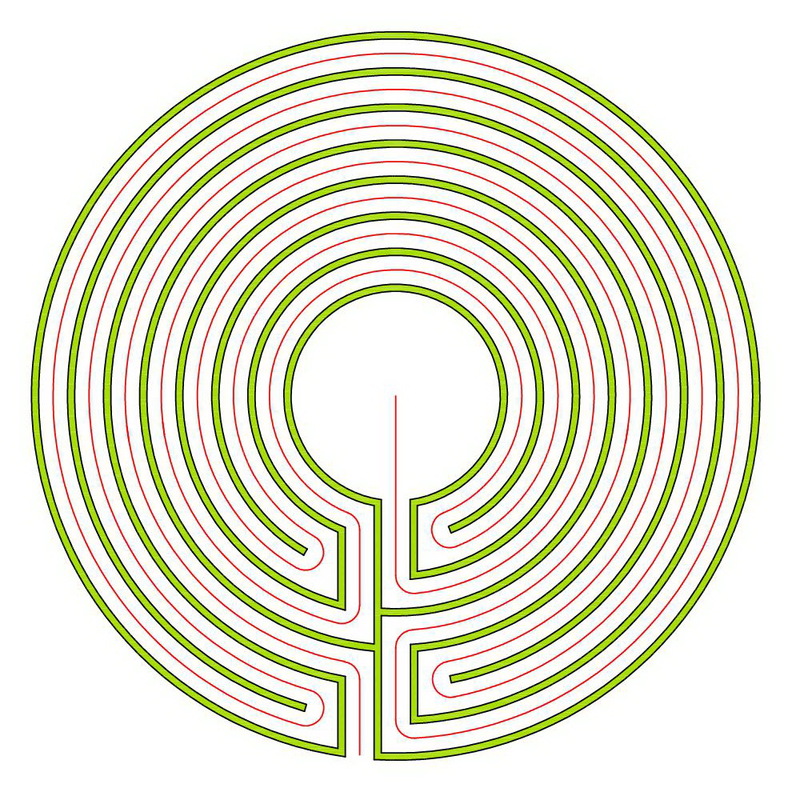 The two labyrinths shown have different courses of the pathway. This is represented in the complete sequence of circuits (upper lines). In the incomplete sequence of circuits (lower lines), however, the difference has disappeared. It is the same for both labyrinths. The categorization by Wind is not new. We have done this already (Literature 4). We have used about the same material, have attributed similar labyrinths to the same groups and divergent labyrinths to different groups and refer to this as a typology (related posts 3, 4, 5). We also obtain more or less the same results (further links). Thus, the categorization by Wind confirms our typology to a great extent. As the criterion for similar or divergent, we use the course of the pathway. However, we don’t describe this with the sequence of circuits but with the pattern. 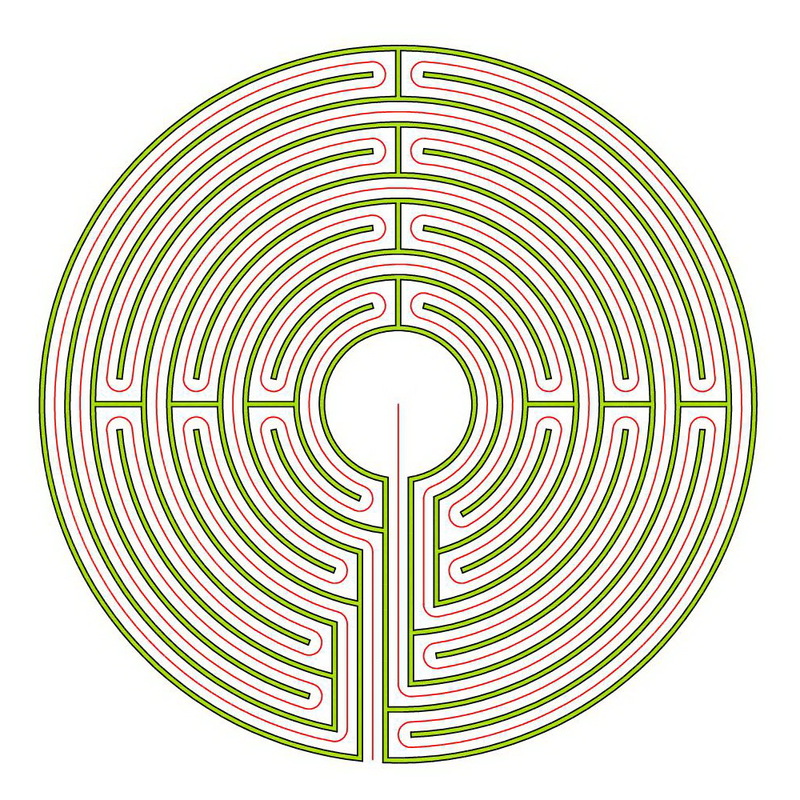 This allows us a unique and complete representation of the course of the pathway and an unambigous attribution of the labyrinth examples to types of labyrinths. In my post Type or Style / 4 from August 2015, I have discussed the typology of the website Begehbare Labyrinthe (related posts 4). In the meantime, this typology has been completely revised (additional links). The new typology adopts our principles relating to type (related posts 3) and style (related posts 2). Furthermore it combines type and style. 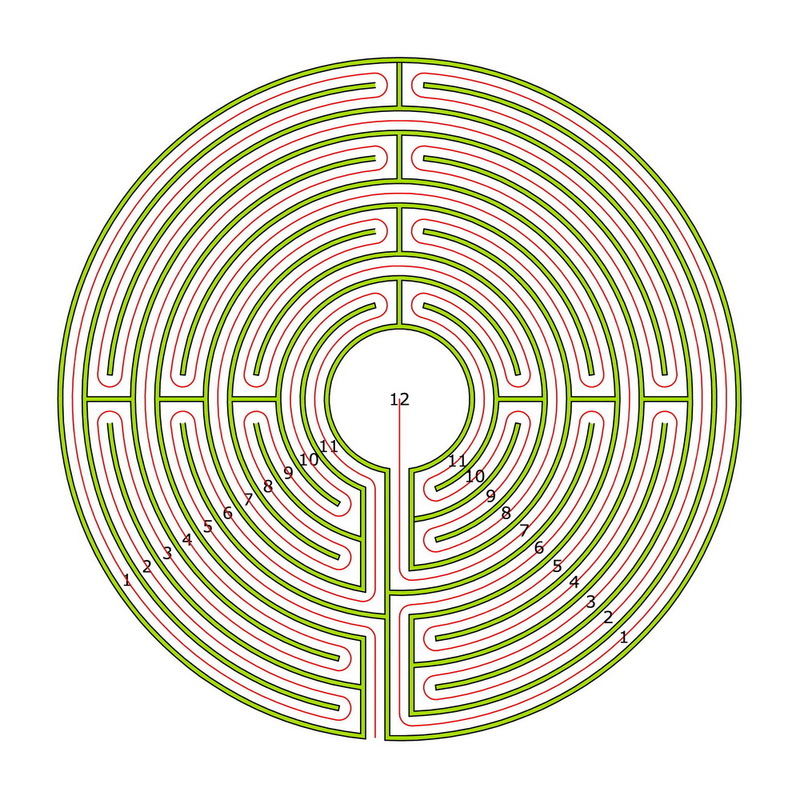 All walkable labyrinths were now attributed to types according to their course of the pathway. 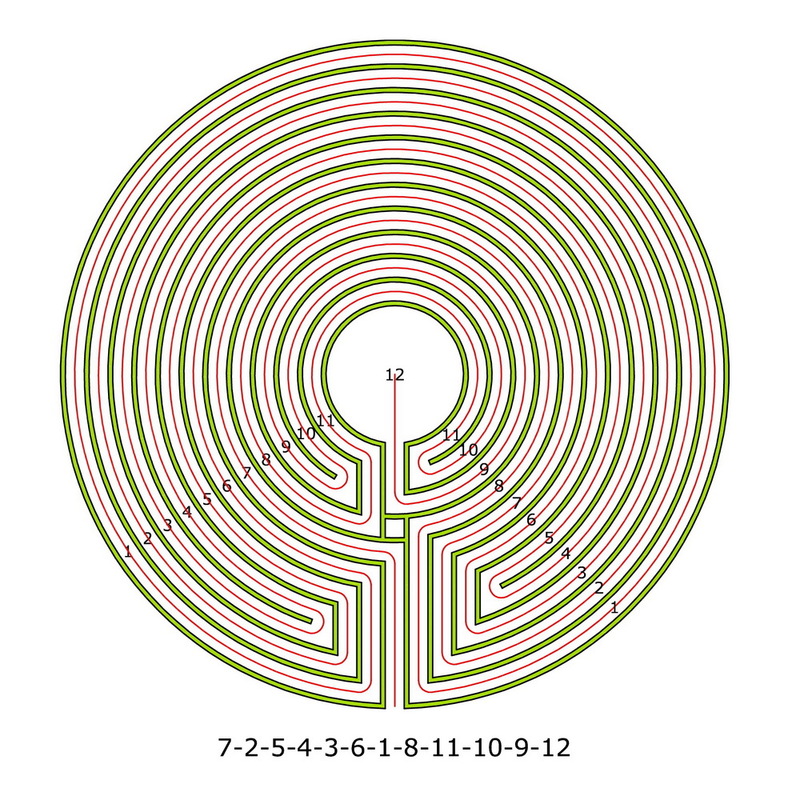 Labyrinths with the same course of the pathway (pattern, sequence of circuit) are of the same type. These types were then further divided into groups according to the style. Also the naming of the types has been reworked. This whole thing can be well explained using the basic type. „Basic type“ is the new name of the type that formerly or elsewhere has been termed „classical“ or „Cretan“ type of labyrinth. 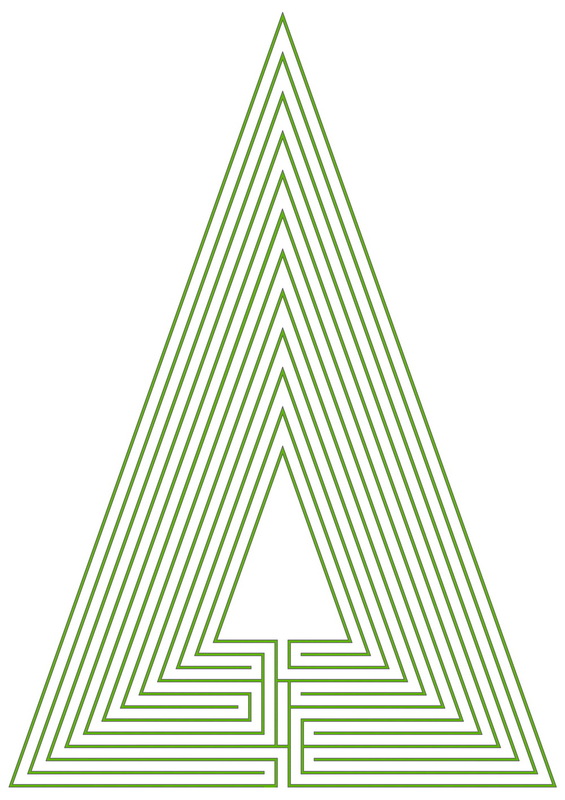 This type has one axis, seven circuits and the pattern shown in fig. 1. 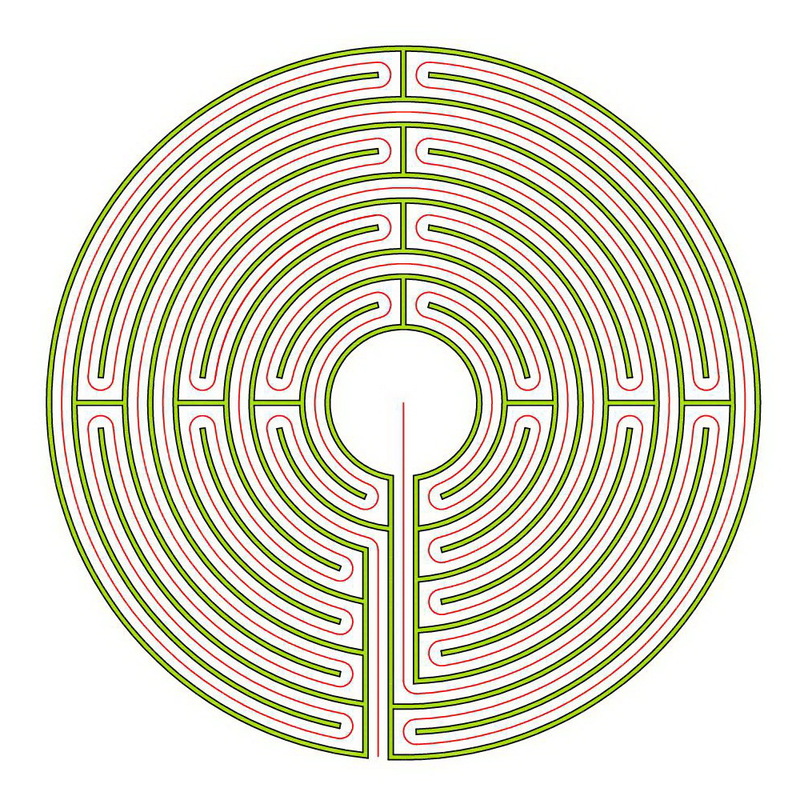 Each type of a labyrinth in each of its styles is depicted with a figure of one corresponding labyrinth example. Figure 2 shows as an example the section representing the basic type in the classical style with its 97 examples. 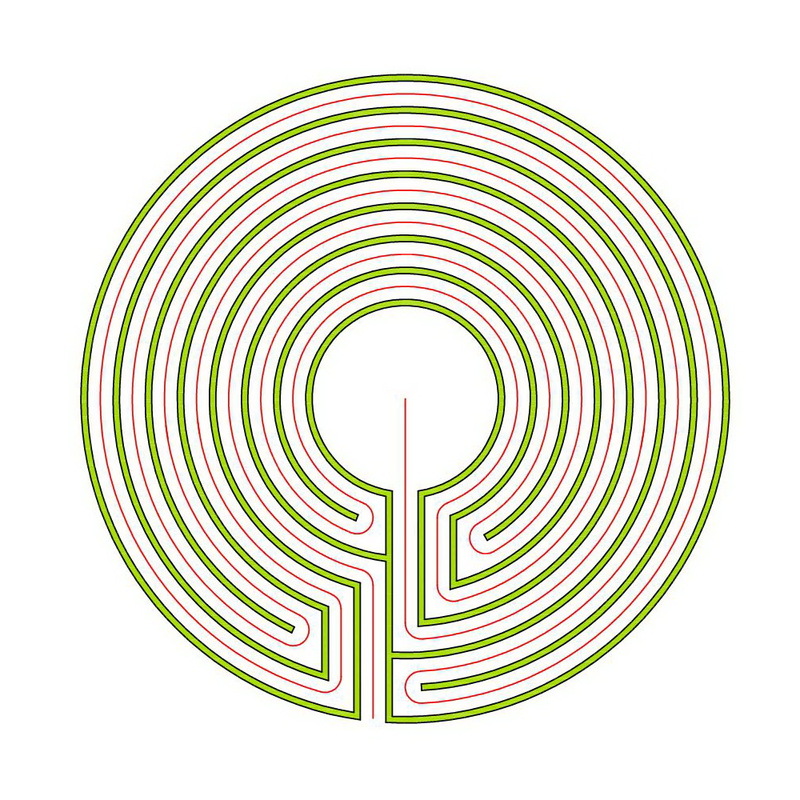 If you move the cursor over the image of the labyrinth, the pattern is overlaid. 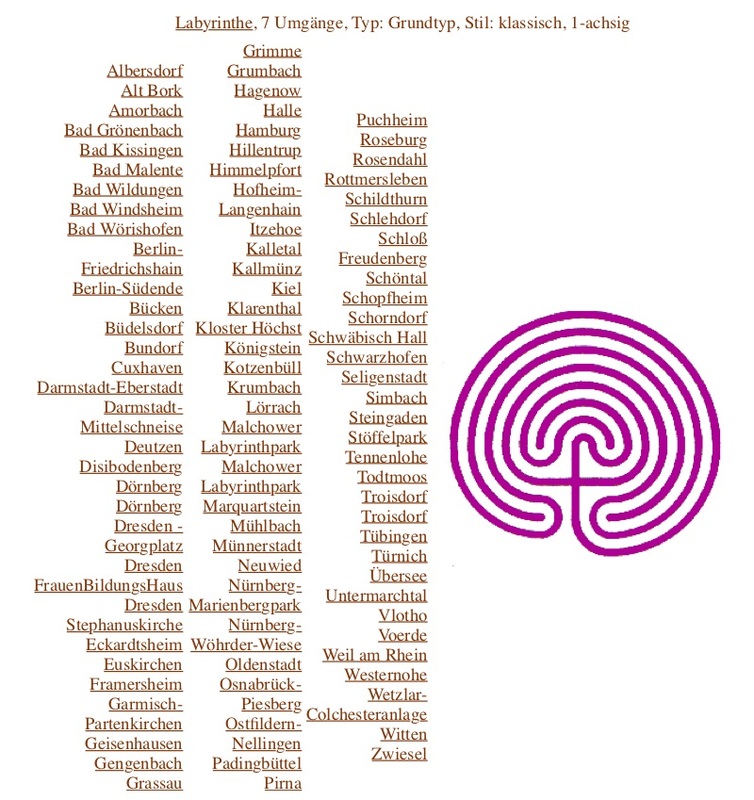 At the side of the image all attributed walkable labyrinths are listed. 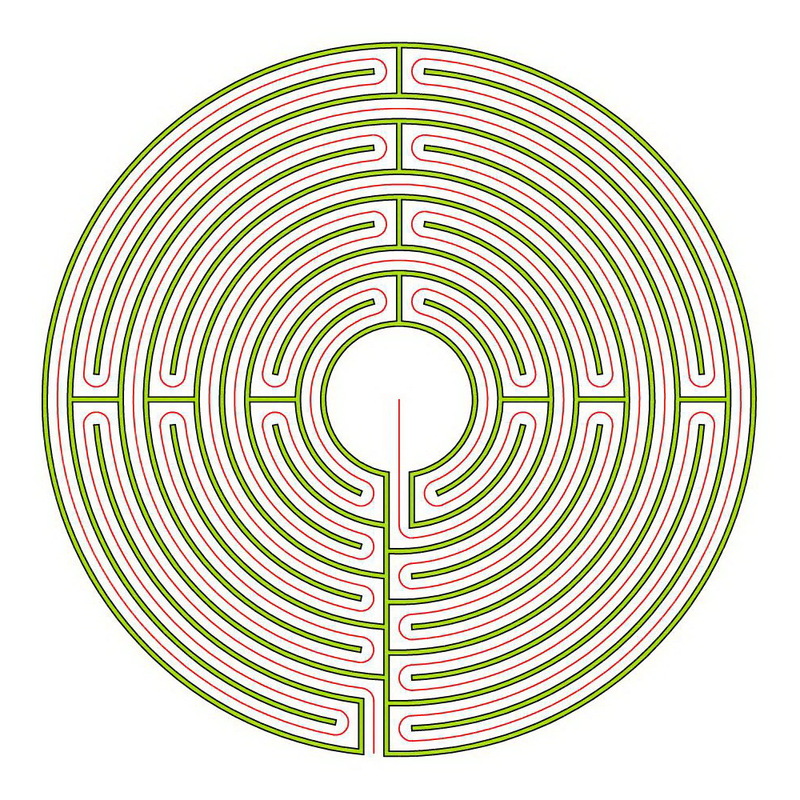 Moving the cursor over a name makes an image of the corresponding labyrinth fade in. 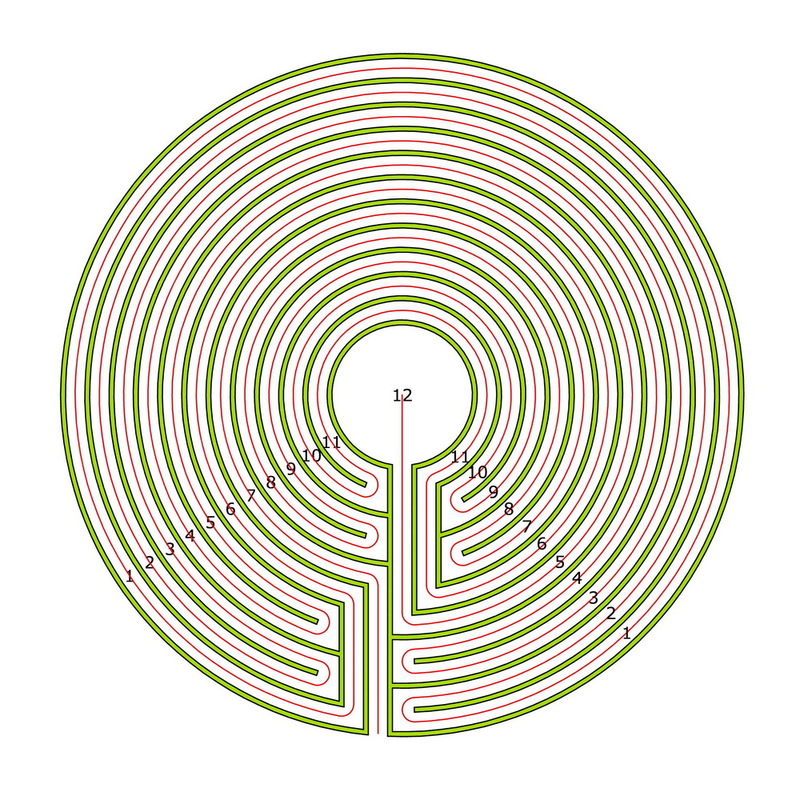 A click into a link brings you to the page with the full entry of the corresponding labyrinth. 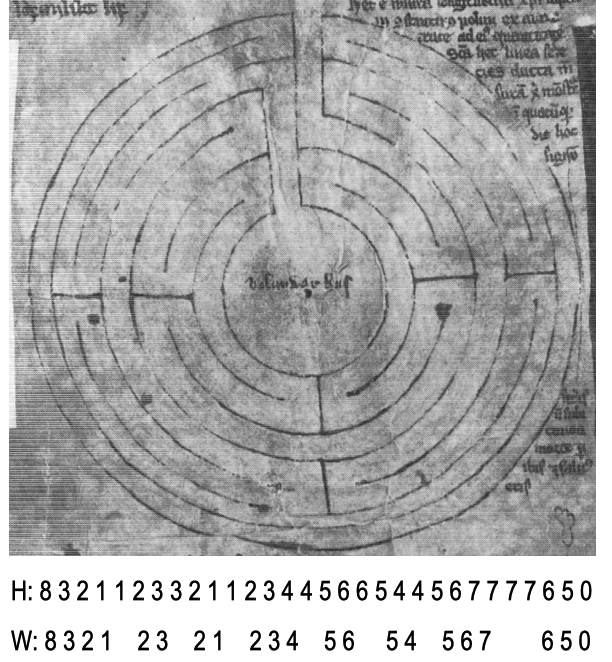 This often includes a comprehensive image of the whole labyrinth, and an extensive description of it including type, style, number of circuits, number of axes, size and measurements, materials and other information. At present, the typology includes about 60 different types and some 10 styles. However, not every type is represented in each style. Despite this, the typology at the moment contains 92 groups composed of types and styles, what is more than the 60 pure types, that are based exclusively on the course of the pathway. These groups cover all walkable labyrinths listed in the website. 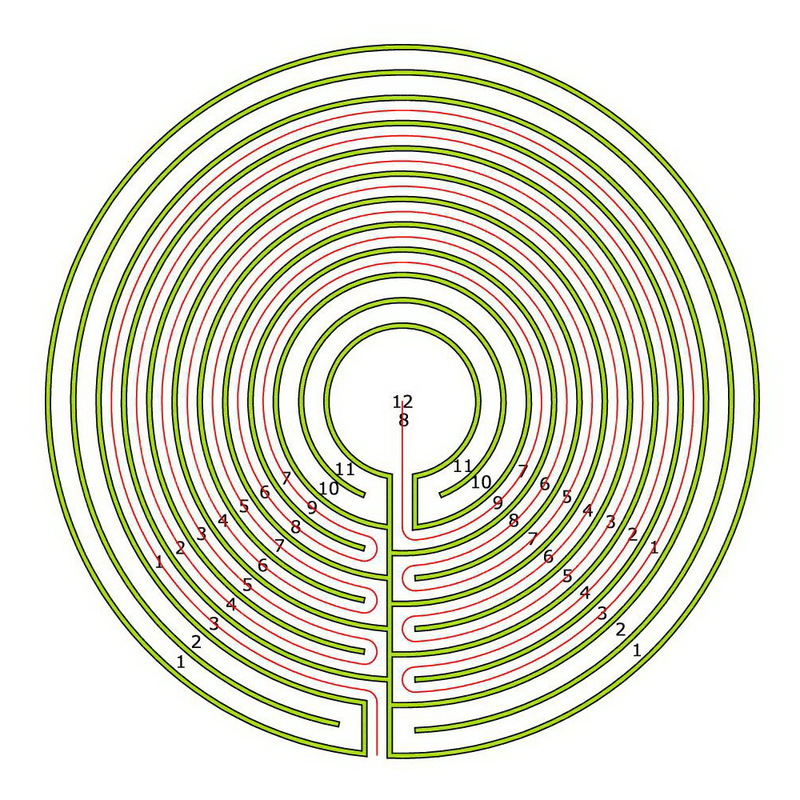 However, from time to time, new labyrinth examples are added and therefore also the number of types and styles may increase further. 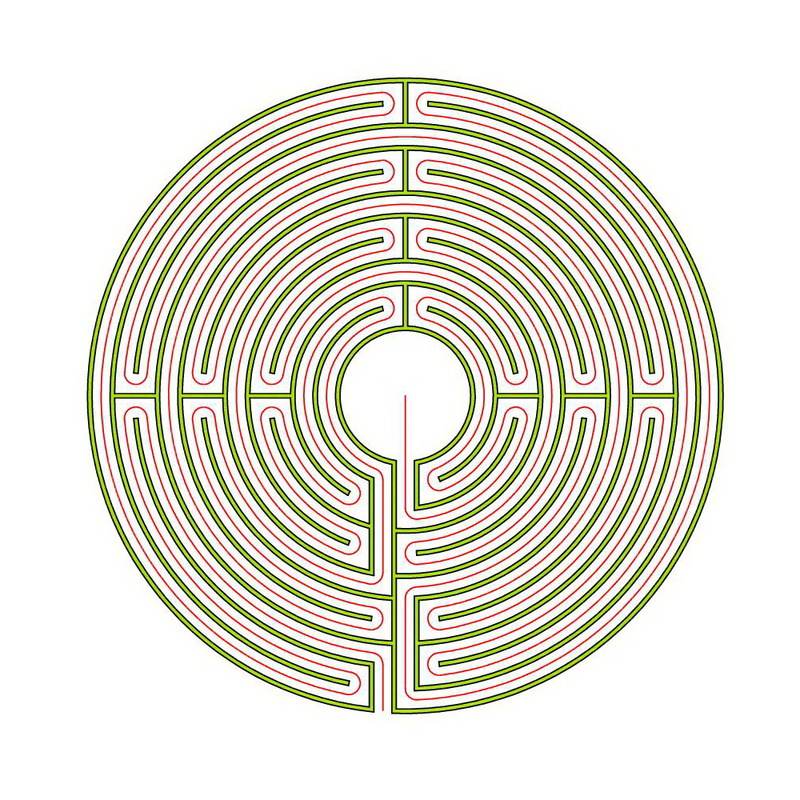 The full list of the types of labyrinths is ordered in increasing order first by the number of axes, then by the number of circuits. 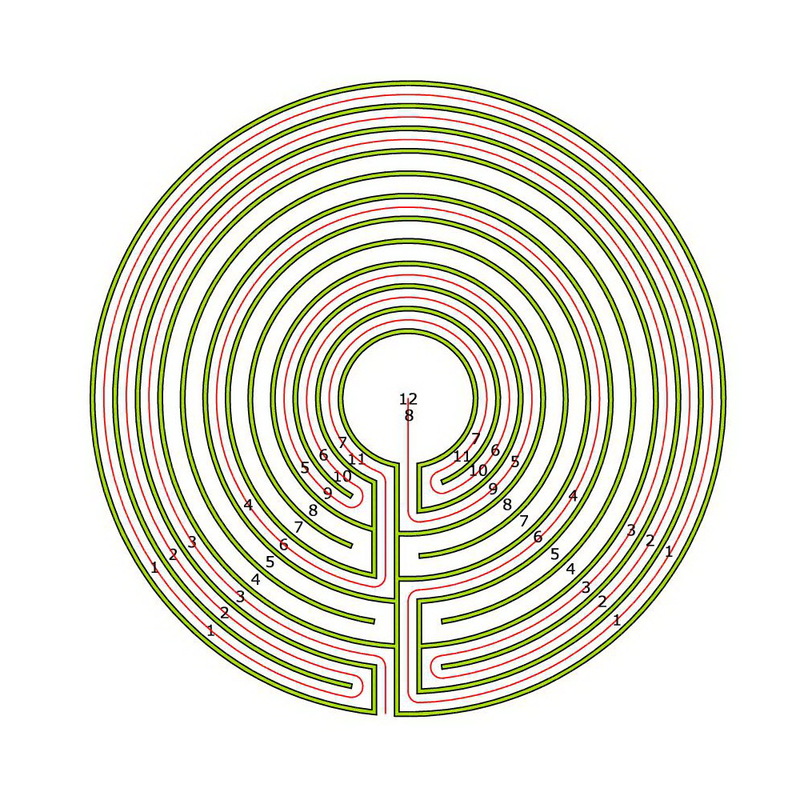 So, first all one-arm types of labyrinths are listed, and these in ascending order by the number of circuits from the smallest with 3 circuits to the largest with 11 circuits. Next follow the types with 2, 3, 4, 5, 6 und 8 arms, each again in ascending order by the number of circuits. This new typology is now systematic, consistent, clearly reproducable, and completely covers the listed walkable labrinths. Furthermore it can be easily extended if labyrinth examples in new types or styles are added to the list.